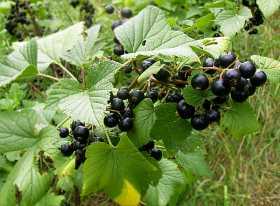 Blackcurrant bushes are not difficult to grow and can produce 4.5-7 kg (10-15 lb) of fruit per year. So one plant may be all you need. Some of the smaller varieties can be grown in large containers. Correct planting and pruning is important as most of the fruit is born on last year’s stems. So fresh wood from below ground is needed each year. Ben Gairn and Ben Connan are suitable compact varieties for pots. 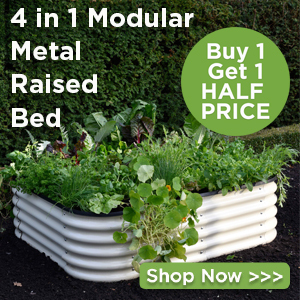 Ben Sarek is also good for container growing but as it heavily crops, it may require support. Ben Lomond is late flowering. It has an upright growth and some mildew resistance. It yields a heavy crop. For Northern climates, the more important it is to grow a hardy, frost-resistant variety like Ben Nevis . Blackcurrants are usually trouble free and may live for 10-15 years. Net the bushes down to ground level to prevent birds from stealing the fruit . Or grow in a fruit cage. Reversion and Big Bud Mite may reduce their life but frost can be a problem particularly in Northern regions with early flowering varieties. Blackcurrants are hungry plants so prepare the ground well by digging in well-rotted manure or compost . Make the planting hole large to spread out the roots out. Plant the new bush about 5 cm (about 2 inches) deeper than the plants were at the nursery – this will encourage new wood to grow from below the soil. Mix a kilo or so (a couple of pounds) of bonemeal with hoof and horn meal into the bottom of the planting hole. Fill in and tread the soil down well. Prune the original branches back hard , around 6 cm (2-3 inches) above soil level. 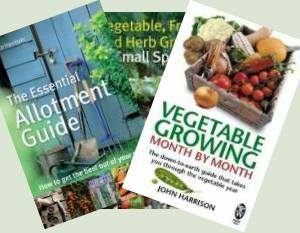 This will encourage new root and shoots growth. Allow a minimum of 1.2 m (4 feet) between plants. During the first year, give a feed of a general purpose liquid fertilizer every month and keep the plants well watered. Start winter pruning in their second year. Take out any crossover, damaged and weak branches . Remove about a quarter of the oldest shoots each winter. Open out the centre of the bush into a cup shape to give good air flow through the bush and to aid fruit harvesting. Tread the plant in each spring to stop them rocking if they have been lifted by frost. Add about 100g (4oz) of good general fertilizer and a thick mulch of well-rotted manure or compost each spring. 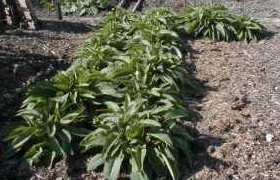 In June and July feed with liquid tomato feed or add a mulch of comfrey. The fruits should be ready during July and August, once they’re plump and dark-coloured and soft to the squeeze. Blackcurrants contain a lot of vitamin C, but cooking can reduce this. They freeze well and can be used in pies, jams, puddings, drinks, jams and jellies .